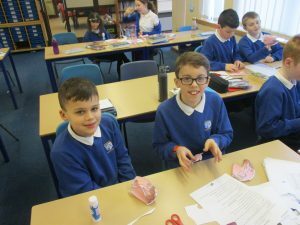 In Upper Key Stage 2 we have been learning all about the different organs in our circulatory system and how they work. 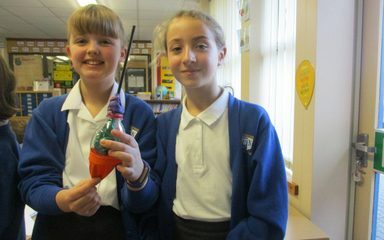 Today we took this one step further by making 2 different types of model lung. One illustrated the size, shape and different parts of the lungs and the other how it works. 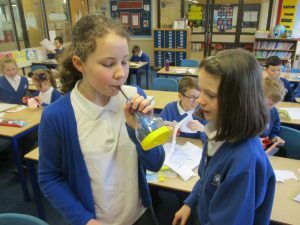 We used balloons, straws, play dough and a plastic bottle to make a functioning model of how the lungs inflate and the diaphragm moves. 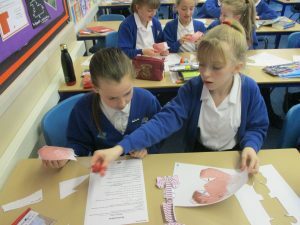 Other groups made paper lungs and identified where we would find the bronchus, bronhiole and alveoli. 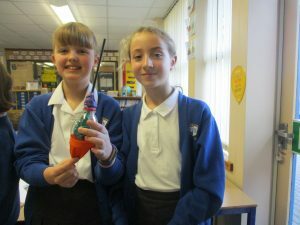 If you wanted to try and make your own model lung at home, here are the instructions.